The human race has always had the urge to overcome challenges and to do incredible and outstanding things. This can be applied to every single knowledge field: science, art, engineering… People, in every field, are capable of recycling the knowledge they already have and search for new knowledge. One of the fields where people are still today making progress and carrying out impressive projects is, of course, engineering. In this article, we have listed 5 amazing engineering projects from 2018 but there are more. What are your favorites? The new engines for the Boeing 777X, the biggest jet engines in history, include a composite fan more than 11 feet in diameter, tucked into a 14-and-a-half-foot engine capsule, or nacelle. Besides, it has 16 composite fan blades and hangs on the 777X’s 118-foot wings, which makes it the largest two-engine jet in the world. The prototype of the 777X has been under construction since 2017. Boeing is planning two variants of the long-range, wide-body airliner that is billed as the largest and most efficient twin-engine jet in the world. It is intended to build on the engineering and interior innovations from the Boeing 777 and 787 Dreamliner and will have the ability to tackle intercontinental routes like New York-Singapore. One innovative feature was the introduction of a new scale of 3D printing in the fan blades and fan case. This has been able to reduce the number of fan blades to 16 and reduce the engine weight while increasing its size and power. However, more power also entails a new design for the 777X’s generators, the airborne power plants using the plane’s jet engines to produce electricity. 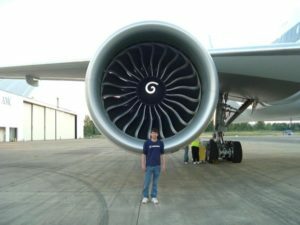 Since GE Aviation will be the sole supplier of engines for the plane — it developed the GE9X, the world’s largest jet engine for the 777X— the company decided to bid on the electrical system as well. The 50 km-long project will link three major cities in China’s Pearl River Delta and will become the world’s longest bridge. Under construction since 2009 and with a cost of 10.6 billion USD, the structure is supported by three cable-stayed bridges and designed to withstand winds of up to 340km an hour. A 6.7km undersea tunnel has been built to avoid the disruption of shipping lanes, connected by two artificial islands. 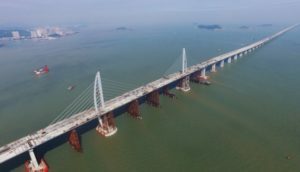 The world’s longest sea bridge is set to open this week, linking the cities of Hong Kong and Macau to the Chinese mainland, as part of a broader contentious plan to integrate the special administrative regions into China. About 420,000 tonnes of steel was used in the construction – enough to build 60 Eiffel Towers. To allow ships to pass, a section of the bridge dips into an undersea tunnel. Besides, this runs between two artificial islands and it is designed to withstand earthquakes and typhoons. In any case, it is not easy to drive across the bridge, given that in Hong Kong and Macau drivers travel on the left side of the road while in China they travel on the right. To get around the issue, reports said authorities built a “merge point” for drivers to stop and switch sides when they cross into new territory. 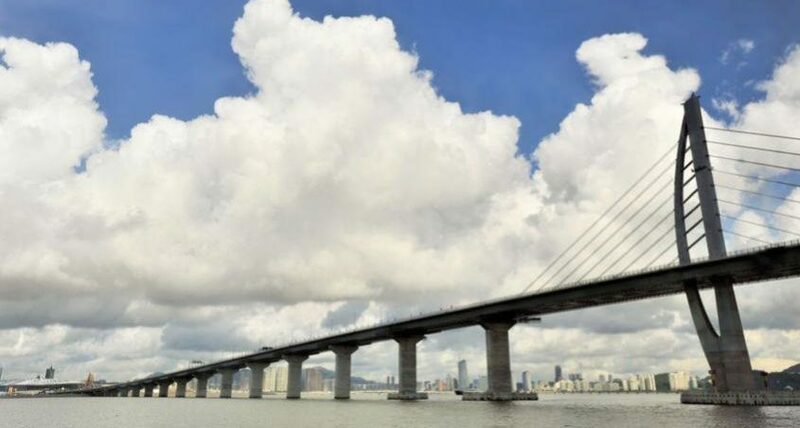 The main bridge section is considered mainland territory and Hong Kong cars and drivers traveling over it “must comply with the laws and regulations of the mainland”, according to the city’s transport department. The Chang’e 4 mission represents the second phase of the country’s three-part moon exploration program: orbiting, landing and returning to Earth. Chinese scientists say the goals of the current mission are to test new technologies, gather scientific data and build expertise, as well as scout for mineral resources that might one day be mined. Chang’e 4 blasted off from Xichang Province in the south of China on December 2 Beijing time, aboard a Chinese-developed Long March 3B rocket. About five days later, it arrived in the moon’s orbit, some 60 miles (100 km) from its surface, and began preparing for landing. 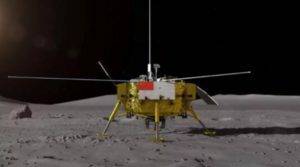 During the descent, a camera aboard the spacecraft took 59 photos of the moon, including a view from the lunar surface just after Chang’e touched down in Sinus Iridum, the Bay of Rainbows. This flat volcanic plain is part of a larger feature, Mare Imbrium, which forms the right eye of the so-called “Man in the Moon. The Three Gorges Dam has become the most influential hydropower project in the world. We are talking about the largest construction of its kind in the world, it is so massive that the concrete and steel dam reaches heights of 180 meters (around 60 stories) and spans 2km. 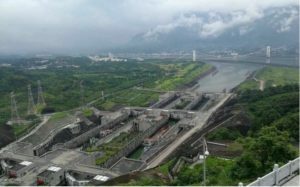 It is also the world’s largest capacity hydroelectric power station with 34 generators: 32 main generators, each with a capacity of 700 MW, and two plant power generators, each with a capacity of 50 MW, making a total capacity of 22,500 MW. The construction of the dam has not only minimized the risk of flooding by releasing the water through a contained and controlled process but has also enabled economic growth. The dam receives over 150 freight ships per day over the Yangtze river – the biggest ship locks in the world were constructed here in order to cater for the predicted 100 million tonnes which will cross the river annually. An important function of the dam is to control flooding, which is a major problem for the seasonal river of the Yangtze. Is a joint venture between Nur Energy a solar plant developer based in the UK and a group of Maltese and Tunisian investors in the oil and gas sector. 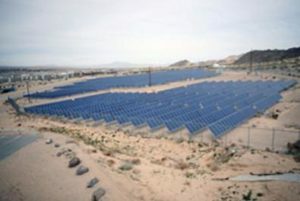 In July 2017, a request for authorization was filed to the Tunisian Ministry of Energy, Mines and Renewable Energy for an export-oriented solar project with a capacity of around 4GW. Share your favorite engineering projects from 2018 with us and explore what else ennomotive has to offer you.